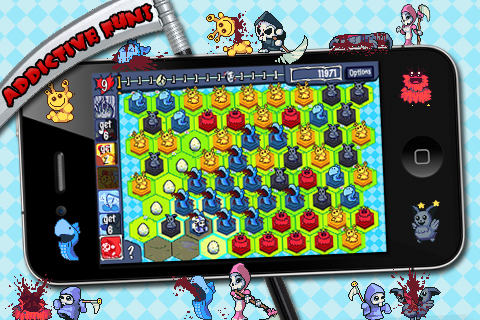 What would Death himself do if he were surrounded by ultra-cute critters? Kill them, of course! 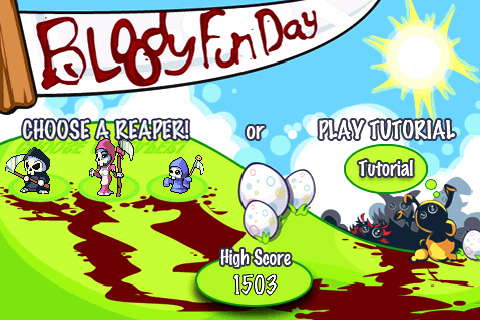 You play the reaper, who needs to kill red cuties in order to stay alive. Killing other cuties will help charge super powers that make it easier to get to the red cuties. How long can you survive before the dwindling cutie population stifles your life? 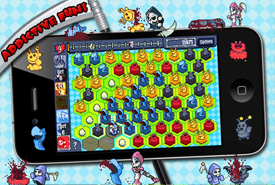 You cant help but have a bloody fun day in this addictive puzzler! 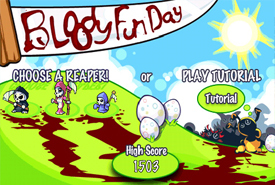 STRATEGY WITH A BLOODY TWIST: Enjoy harvesting Cutie souls as you delve deep into strategizing how you're going to aquire that next Reaper ability for more Cutie carnage. SPECIAL REAPER POWERS! Use powers such as Jump Slash, Soul Harvest, Transform, Vampiric Touch, Eye Lasers and Fire Blast to cut those cuties down to size (well...in half), even faster! BUILT IN TUTORIAL: Nothing can be more embarrassing than a rookie-reaper messing up his or her first Cutie kill - we know this - so we've implemented the tools to help you become a lean, mean cutie killing machine! 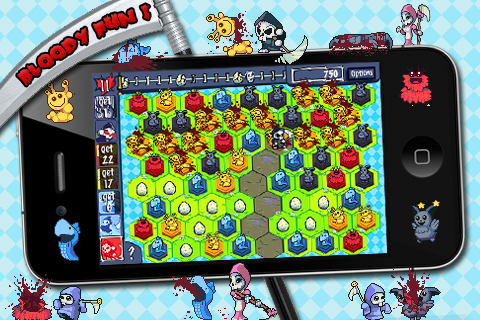 Endless, addictive cutie-soul harvesting fun! Bloody!